With our warm-up ride rained out yesterday, we "took it easy" today by climbing 6,650 feet in only 38 miles. 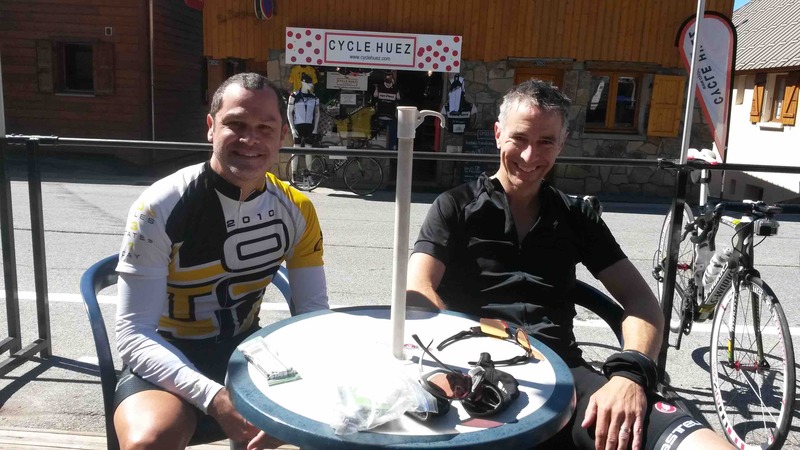 Our day started with the mythical Alpe d'Huez, with it's 21 switchbacks and 3,675 vertical feet of climbing in only 8.7 miles. 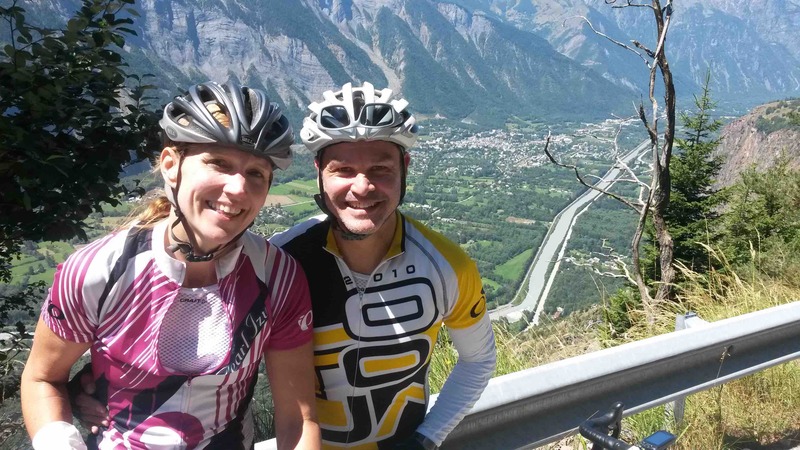 We then continued onto the Col de la Sarrene, a beautiful pass beyond Alpe d'Huez. The descent off of the Col de la Sarenne was VERY technical and steep (the GoPro Video will be available shortly). Once we finished that lengthy descent we climbed back up to the Balcon d'Auris (Balcony of the Auris), a crazy road that hugs the steep cliff walls more than 1,000 feet straight above the valley floor below. And finally, here's one of Val and me above the Balcon d'Auris - who thought it was a good idea to build a road there? Click here to see my computer data for today. Links to video to follow.